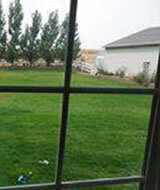 Hard water staining or damage to glass (also known as corrosion) is caused by ground water being deposited on the window surface by a number of sources, the most common of which are lawn sprinklers or washing of the house siding with a garden hose. 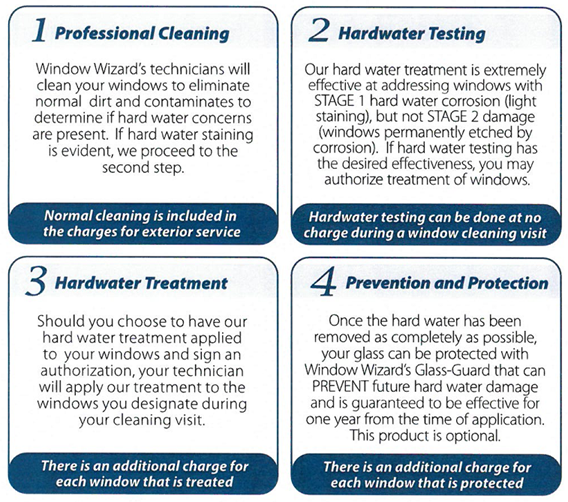 Please note: Window Wizard offers “treatment” in lieu of “removal” as the hard water damage can be permanent. 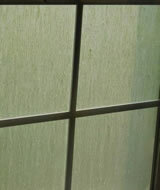 Was just so very happy with the service. Recommending you to my entire family.